What possessed the man who attacked Rembrandt’s The Night Watch with a bread knife in 1975, “jabbing two-foot-long knife marks into the surface,” as Nina Siegal writes at The New York Times, “cutting a seven-foot-wide hole, and ripping off a section of the canvas”? This was not the first time the painting had been mangled. In 1715, just a little over 70 years after the monumental work’s 1642 completion, the Amsterdam city government decided to move it, and removed a significant part to shrink it down for easier transport. The missing top and left portions have never been recovered. It survived intact for two centuries then faced its first knife attack in 1911. Then it survived two World Wars only to endure the second attack. Then, in 1990, it was set upon by a man armed with sulphuric acid. 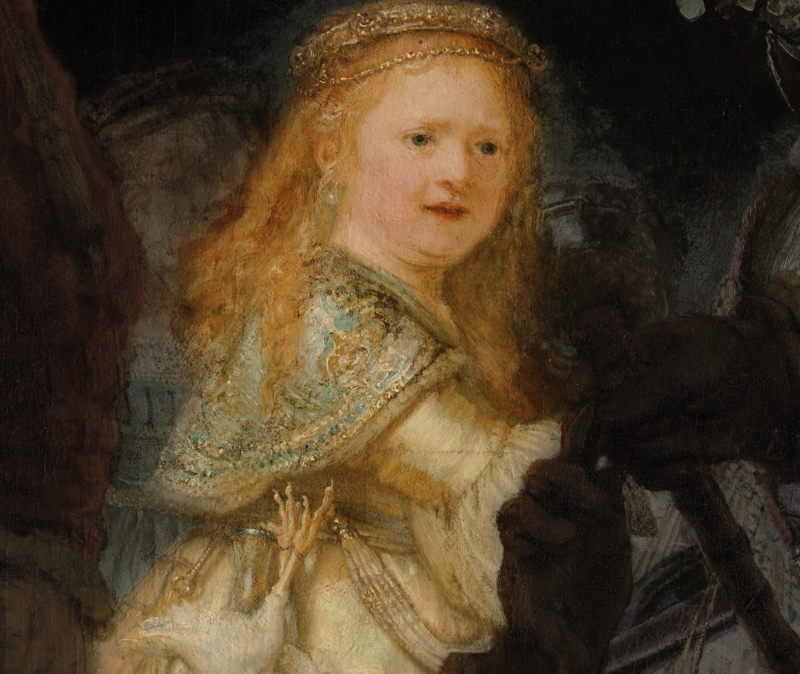 Thanks to the quick thinking of a Rijksmuseum guard, only the painting’s varnish sustained injury. These are just some of the facts we learn in the interactive documentary Experience The Night Watch, a joint creation of NTR TV channel and the Amsterdam Rijksmuseum. 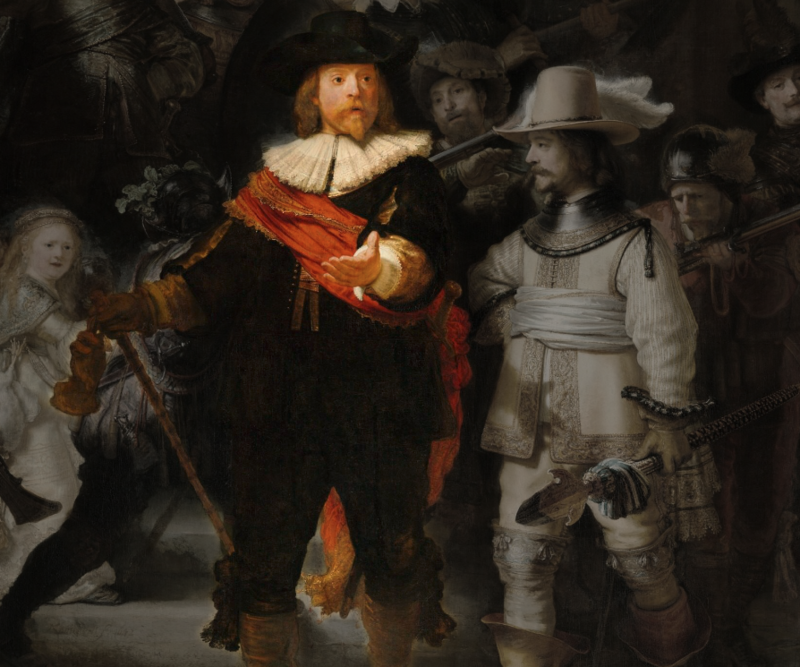 But Rembrandt’s masterpiece was originally called Militia Company of District II under the Command of Captain Frans Banninck Cocq, and it records not a troop of seasoned soldiers but a gentleman’s shooting company, one of the bands of civic guards that had “effectively developed into a social club for well-to-do citizens” who would “turn up mostly as ceremonies or to quell minor riots.” Each of the men memorialized paid to have his likeness included. We may never have known their names except that in 1715 they were added inside a shield painted by an anonymous artist for some reason. The work is full of other such mysteries. Learn more of the painting’s secrets at the online documentary project here, see similarly interactive art histories from NTR on M.C. 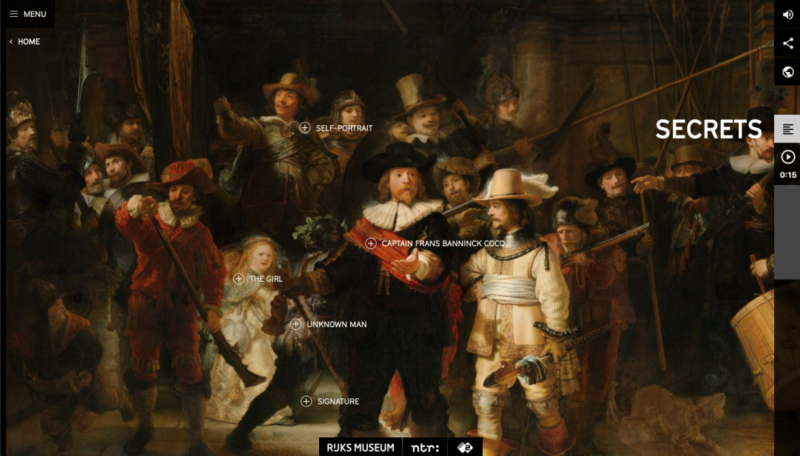 Escher and Hieronymus Bosch, and, above, listen to an Artsy podcast featuring Rijksmuseum curator Pieter Roelofs and other Rembrandt experts who explain what makes The Night Watch so wildly famous that more than one person has felt driven to destroy it. 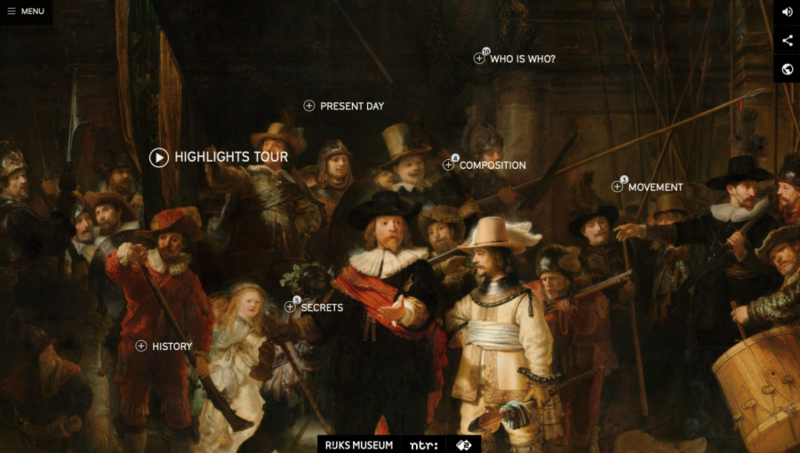 Enter an Online Interactive Documentary on Rembrandt’s <I>The Night Watch</I> and Learn About the Painting’s Many Hidden Secrets is a post from: Open Culture. Follow us on Facebook, Twitter, and Google Plus, or get our Daily Email. And don’t miss our big collections of Free Online Courses, Free Online Movies, Free eBooks, Free Audio Books, Free Foreign Language Lessons, and MOOCs.